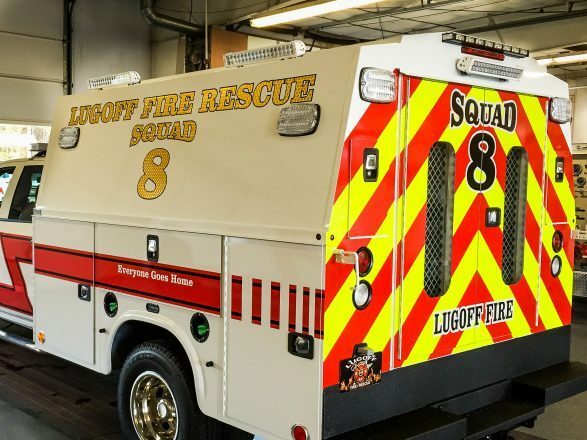 The MiniBrow Series uses the same core extrusion technology as the FireTech Brow Light, but are offered as single-circuit solutions for use in virtually any other area of a fire apparatus.This means you can have the reliable and bright light of our brow lights wherever you choose to mount the MiniBrow series on your vehicle. With two separate mounting options, trunion and pedestal, you can be sure that your scene lighting solution will fit on your apparatus. Our Brow Light and MiniBrow Scene Light technology are designed by firefighters for firefighters. 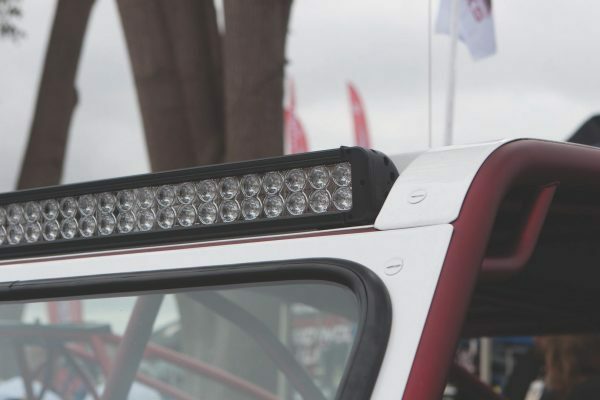 That means that we’re acutely aware of what you need from your lights and how to best provide it in a package that can fit on many different apparatuses. 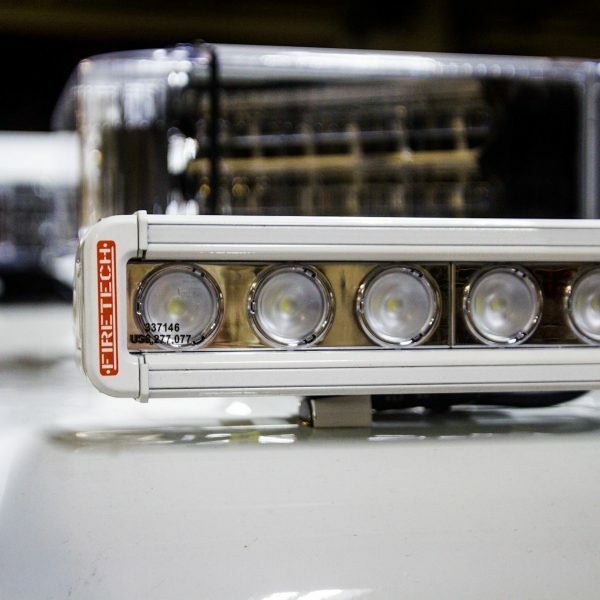 We know that you don’t need to worry about whether your scene light will work in an emergency, but only need to worry about the illumination necessary to do your job. 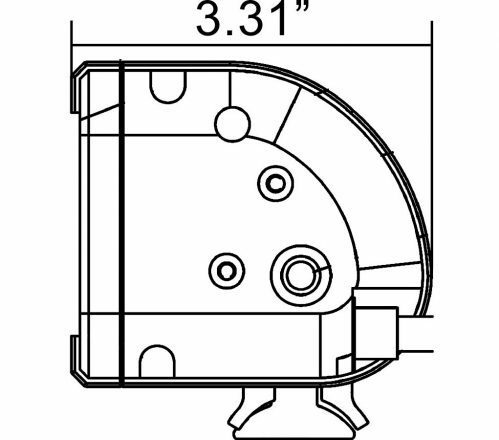 That’s why the FireTech MiniBrow Series is backed by the industry’s leading limited LIFETIME warranty. 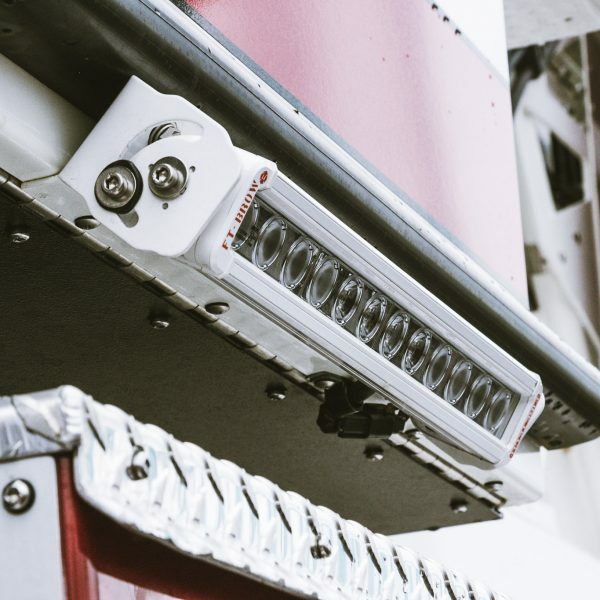 The shallow mounting depth and low-profile design allow the FireTech MiniBrow series to provide powerful light output while integrating neatly into the lines of your apparatus cab and body. HiVuz LED Lighting is proud to be a company dedicated to making emergency lighting by firefighters for firefighters. 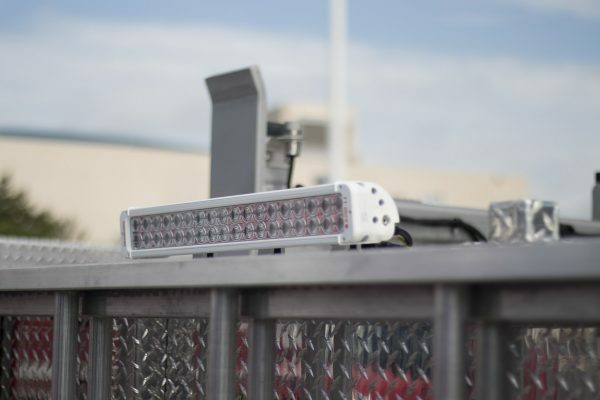 This means that we’ve been on the ground in your boots and know how the correct light can completely change a situation and give you the precious extra vision you need to do your job. If you would like to learn more about our company, our scene lighting products, or our commitment to excellence, visit our Dealer Locator page to discover your closest FireTech dealer! You can also call 703-662-3458 or fill out the form below! 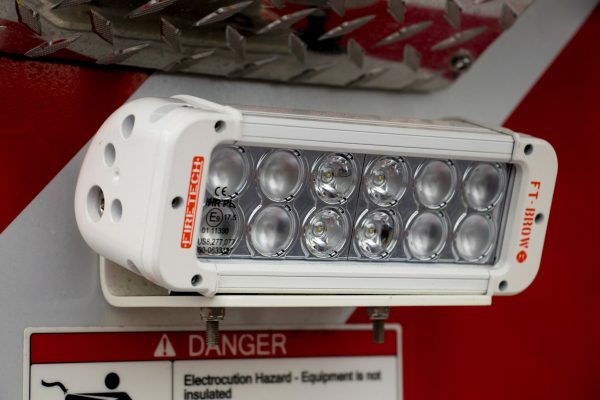 HiViz LED Lighting provides all the work lighting, scene lighting, and flood lighting a fire apparatus may need. 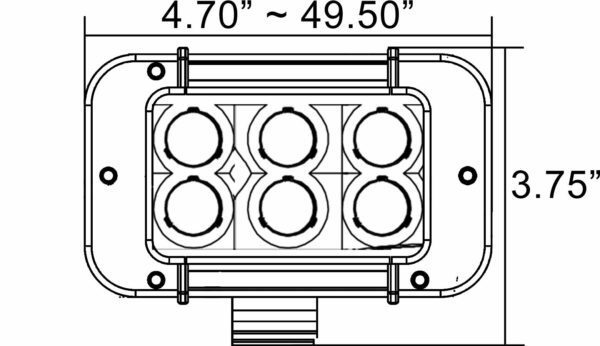 If you would like to learn more about any of our scene lighting products, our company, or our limited lifetime warranty, visit our Dealer Locator page to discover your closest FireTech dealer! You can also call 703.662.3458 to speak with a dealer. Custom Order? Questions about a product?